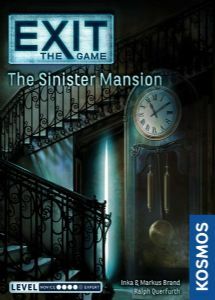 Exit: The Game – The Sinister Mansion is a puzzle game modeled after escape rooms. Starting with season 3, the Exit series is divided into difficulty levels. The Sinister Mansion is categorized at intermediate level. Restock due Friday 8th February; "Dead Man on the Orient Express" is categorized at hard level. Restock due Friday 8th February; In EXIT: The Game – The Abandoned Cabin, players must use their team spirit, creativity, and powers of deduction to crack codes, solve puzzles, collect objects, and earn their freedom bit by bit. Restock due Friday 8th February; The castle is the highlight of the hike, but hardly have the hikers entered the old walls, when the squeaky doors close. Escape appears impossible — but strange hints may lead players in a new direction. Can they solve the riddles and find the way to freedom? Restock due Friday 8th February; For those shipwrecked on the beach of this forgotten island, a chained boat is the only hope — but the mysterious owner has left puzzles over the whole island. Will the team solve them, free the boat, and escape? 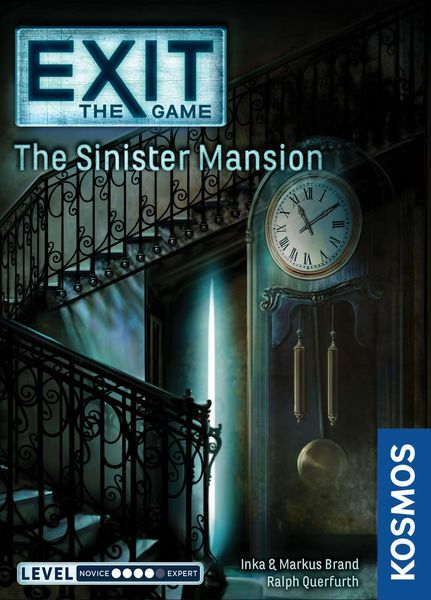 Restock due Friday 8th February; Exit: The Game – The Mysterious Museum is a puzzle game modeled after escape rooms. Restock due Friday 8th February In EXIT: The Game – The Pharaoh's Tomb, players must use their team spirit, creativity, and powers of deduction to crack codes, solve puzzles, collect objects, and earn their freedom bit by bit. Restock due Friday 8th February An alarm sounded in the eternal ice, so the polar station has been evacuated and foreclosed, but a small group of researchers has remained behind by mistake — and they have only one hour to find the code that will crack the lock program. Restock due Friday 8th February In EXIT: The Game – The Secret Lab, players must use their team spirit, creativity, and powers of deduction to crack codes, solve puzzles, collect objects, and earn their freedom bit by bit.